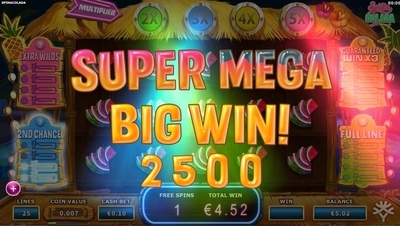 Discover our amazing online video slots for free and play the ones you like best for real money ! Register now & receive a free bonus ! Win fast free spins & big jackpots! Play free unique slot games. 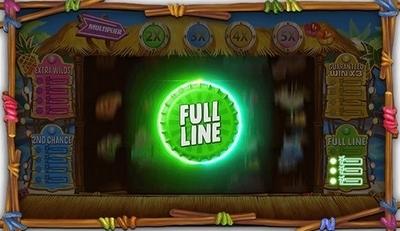 A cocktail of gaming fun awaits you with this cool video slot from Yggdrasil Gaming with the delightful name Spina Colada. With such a name it is the perfect online slot machine to get through the summer heat. The game was launched on June 22, 2017. Take your laptop, tablet, or mobile and lie down on the beach, because Spina Colada brings a real all-inclusive holiday atmosphere. 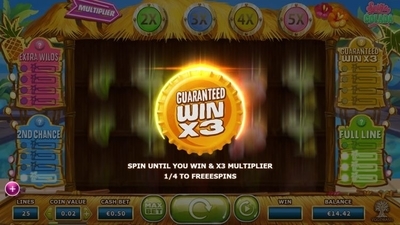 This cheerful, summery slot is packed with Re-Spins, Free Spins, Multipliers and Bonuses which we of course have to make a comprehensive review about. You definitely don't want to miss this slot, so read on! 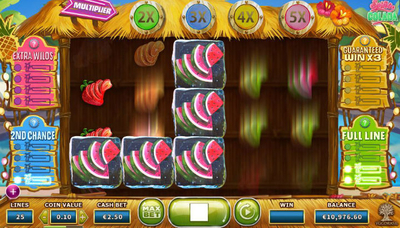 Spina Colada consists of the well-known arrangement of 5 rolls and 3 rows, or a 5 × 3 setup, and has 25 paylines. The symbols on the reels all have a different value, the lowest paying symbols are the fruit; the watermelon, kiwi, pineapple, orange and strawberry. The highest paying symbols are the delicious-looking summer cocktails that appear on the reels, with of course the Pina Colada cocktail as the main prize. The slot machine certainly lives up to its name. 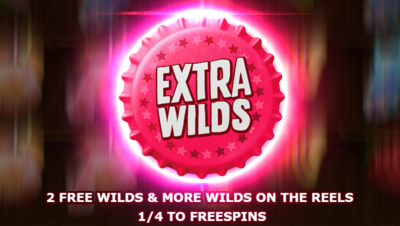 Guaranteed Win x3 awards a guaranteed win and starts the Freeze & Respin feature; completed reels will award an extra 3x multiplier for a maximum of 15x. landing more wilds on this spin. 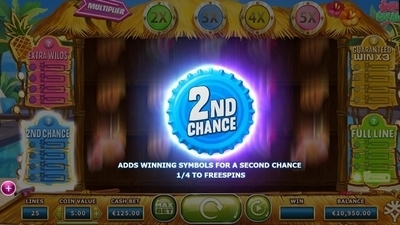 2nd Chance 1 or 2 symbols are placed on the reels to ensure a win; it can also occur during the Freeze & Respin to help continue the feature. to guarantee a five of a kind win.